pearTunes is a music memory game. It plays short fragments of songs from your music collection and you have to find the two that are belonging together. Think of those picture memory games - just with music instead of pictures. pearTunes randomly selects songs from your music library. of which it picks short parts. These song-parts are hidden behind notes displayed on the screen. When you touch a note, the short song fragment plays. Next you have to find the matching song fragment behind another note. However, you can only uncover two notes at a time, just like with standard memory games. You need to concentrate, as you have to solve the game with the given ‘spirit’ (think of it as music-life). The spirit decreases by time and multiple uncovering of the same note. There are 5 levels of the game. You start out as Rookie, go through Beginner, Advanced and Pro level before you finally master you music collection as Maestro. Each of these levels makes the game a bit harder to solve, as the song parts are getting shorter, the available time decreases, more notes appear, or the two matching notes feature different fragments of the same song. However, as a special motivation, once you’ve reached Maestro status, you can pick any playlist in your music-library to further deepen your knowledge in that direction. But hey, let’s just give it a try yourself. How well do you know your music-collection? Train your brain and rediscover your music with pearTunes. 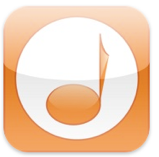 pearTunes is a universal application meaning it’s optimized for iPhone/iPod touch use, as well as the iPad. pearTunes really only makes sense if you have at least 20 songs in your music collection. The more songs, the more challenging the game will get.